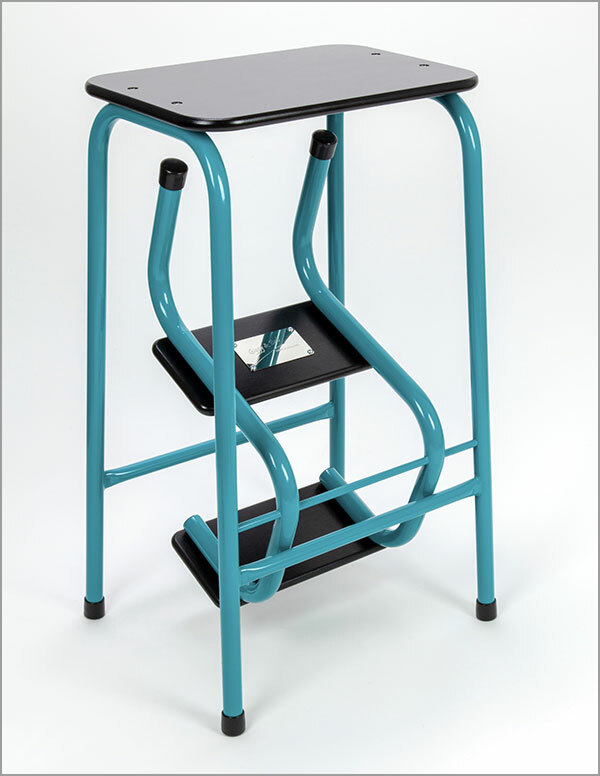 Black plywood and ferrules set off the blue-green loveliness of teal to a T.
Top and treads: furniture grade FSC birch plywood, stained and lacquered. 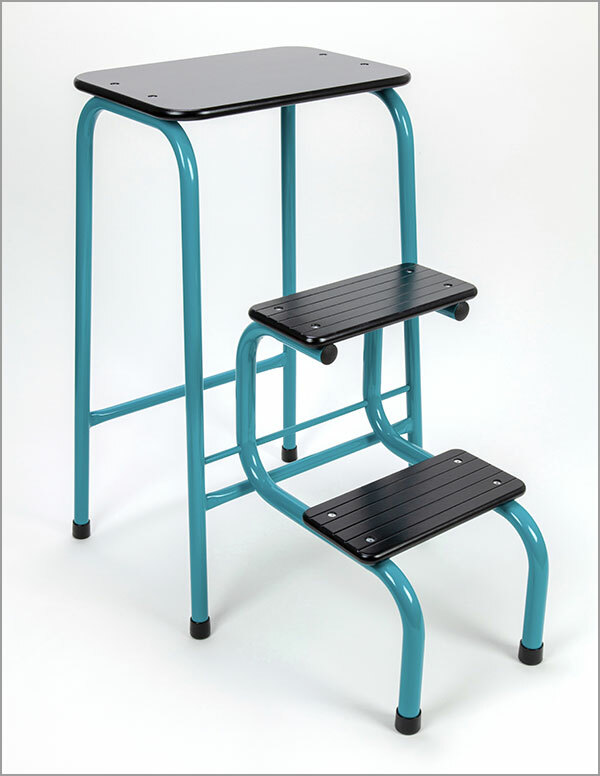 Please note: the strength and stability of plywood make it the perfect material for the step stool, but as an industrial product it is not faultless and uniform in appearance. For example, knots in the individual layers of wood may show as dark patches on the edges of the top and treads. Frame: ERW mild steel tube, TIG welded joints, powder coated in standard polyester, gloss finish. Gauge: 19mm diameter tube for main frame, 22mm diameter tube for flip down steps. Logo plaque: stainless steel, laser cut and stamped, hammer riveted on. Please note: plaque scratches easily so gently wipe any dust off with soft microfibre cloth, and any fingerprints just puff ’n’ buff: breathe on it and gently wipe away any marks with soft microfibre cloth. For further details of materials and manufacturing process, please go to About page. 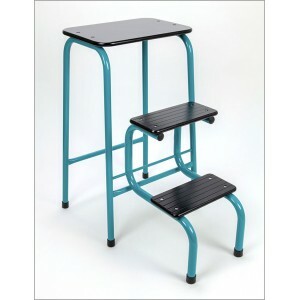 Please note: these may vary very slightly as the stools are handmade and each one is unique. Height floor to first step: 7½"
Height floor to second step: 15¼"
Footprint (steps in): 14" x 11"
Footprint (steps out): 14" x 21"